A 10,000 watt generator is not on everyone’s wish list. But when the need arises, you will wonder how you could do without it. 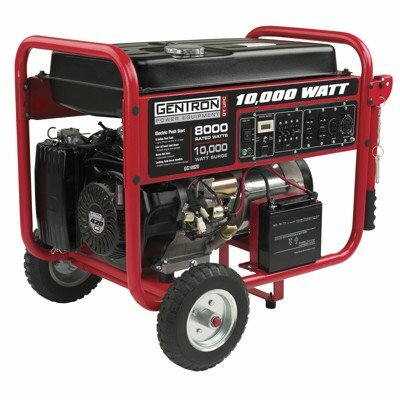 10,000 watts will give you enough generator power to run large appliances when needed in a power outage, a wide gamut of tools on a job site, along with powering may RV accessories. You can even run a food truck with it. Huge output generators like the 10,000 watts ones are wanted because of their ability to power a huge variety of appliances along with the portability they offer. You will notice that many of these generators are equipped with easy to use handles and heavy duty wheels. This makes it easy to move them. In this presentation, we will explore 10 of the best 10,000 watts generators. We will compare them to give you a better idea of how each works, and help you decide the best generator for you. 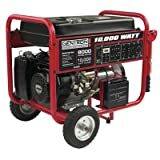 Which 10,000 watts generator can run on propane? 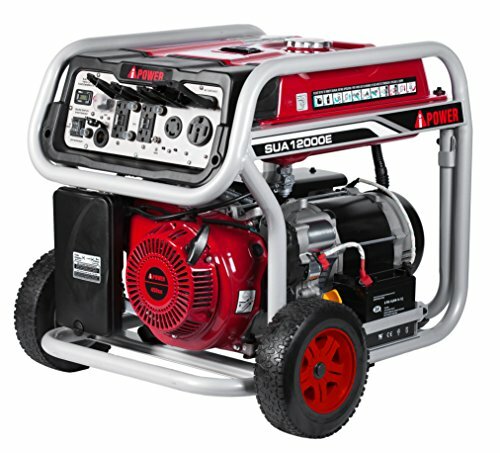 Which is the recommended generator for construction and job sites? When is 10,000 watts generator really needed? 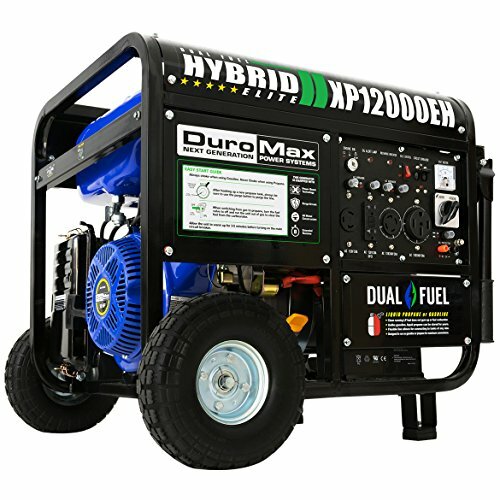 If you are looking for versatility, look not further, the Duromax XP12000EH dual fuel generator is what you must put on the top of your list. 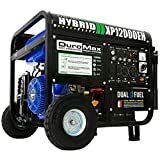 Along with providing dual fuel capability — liquid propane or gasoline — the Duromax XP12000HE has a variety of outlets providing power for several different types of appliances. Duromax has fitted this powerful machine with 4 kinds of power receptacles. These will allow you to plug in almost anything you need to power when you need it most, during a power outage. The XP12000EH has a 12,000 watt power output and will provide power upto 20 hours on a single tank of propane at 50% output. If you fill it with gasoline, you will get upto 10 hours of runtime at 50% output. The generator is equipped with a heavy duty frame, collapsible handles which are easy to use, and rugged wheels which make it easy to move. The Duromax XP will be a long lasting investment that will give you much needed service under the harshest conditions. The lower rated reviews were about out of the box issues. The 30 day warranty helped resolve most of them. If and when you need adequate power, this is the most versatile generator out there. The sound output is only 72dB, making it rather quiet for its size and capacity. The Pulsar PG10000B16 will be top on your list if you loved the diversity and versatility of the Duromax. You can use the powerhouse to run multiple appliances without an issue. It shares the same features with the Duromax using either propane or gasoline. With gasoline, the Pulsar PG10000B16 will deliver 10,000 peak watts while giving a whopping 9000 with liguid propane. With gasoline as your fuel source, you will happily get 12 hours of runtime at half load. In case you run out of one type of fuel, the handy Switch & Go Technology on the Pulsar PG10000B16 Hybrid generator will allow you to switch fuel sources without shutting down. This Pulsar model comes with convenient collapsible handles and plastic wheels making it easy to transport. The folks at Pulsar have designed this intuitive generator keeping practicality in mind. 1 120/240V 50A RV port. This handy outlet will let you power many appliances at the same time. The negative review are about the condition when the box arrives. Most of them were easily resolved, thanks to the warranty. This generator is loaded with features. We should keep an eye out for more reviews. The track record is among the best in its class. I am sure that it will quickly climb the ranks. If you are in the market for a job-site friendly workhorse generator built to endure regular abuse, the Honda EB10000 Industrial Generator will be on the top of the list. This model of the 10,000 watt portable generator series will outdo any competitor. As a bonus it is OSHA compliant. 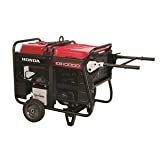 If you are in an RV or a job site, this powerful generator, the Honda EB10000 will produce 10,000 watts and keep your RV and job site running for the whole day. It has a 8.1 gallon fuel tank providing upto 7.5 hours or runtime at half-load and approximately 4.5 hours at its rated load. Customer feedback — not many customers have left feedback. Those that have left feedback are positive. The Honda EB10000 has superb features and is useful on many occasions. But it is heavy. You don’t want to lug it out everytime there is a power outage. It is best suited for a job site. The CAT RP12000E is perfect for both residential use and for the job site. If you are looking to get more power and more ruggedness from the generator, this model fits the bill perfectly. The CAT RP12000E goes beyond the 10,000 watts. It is a powerhouse spewing 12,000 running watts and 15,000 starting watts. That is enough power to run the largest appliances in RVs, giving you power when needed. Each outlet has a protective cover to keep foreign objects out. Note: these outlets will supply power to a huge variety of appliances. Note: CAT is a widely trusted brand across several industries. The company proudly stands behind its products. The reputed company offers a 3-year parts and service warranty. This solid state portable powerhouse can be for a variety of power needs, from job sites, to neighborhood needs, the CAT generator will power several appliances at the same time. This massive EPA certified 10,000 watts generator will give you the peace of mind of keeping you and your family powered in case of any disaster. The APGG10000 produces remarkable amount of power; 10,000 peak watts and 8,000 watts rated. This wattage will power almost any appliance you need during the next blackout. It comes with handles for easy transportation. The fuel tank capacity is 8 gallons, which will run for nearly 12 hours. The 76 dB sound output will keep your neighbors happy and undisturbed. The range of plugs will allow you to hook up just about any appliance to keep things at home running smoothly. The company gives a one year parts and workmanship warranty. Let’s explore the pros and cons. On the face of it, this generator has all the wonderful features you would expect. I would hesitate wholeheartedly recommending this model due to the less than stellar reviews. I would suggest you do some more due diligence before purchasing it. 10000 watt peak power, 8000 watt rated power. The Duromax XP12000E will give you more than the routine 10,000 watts. 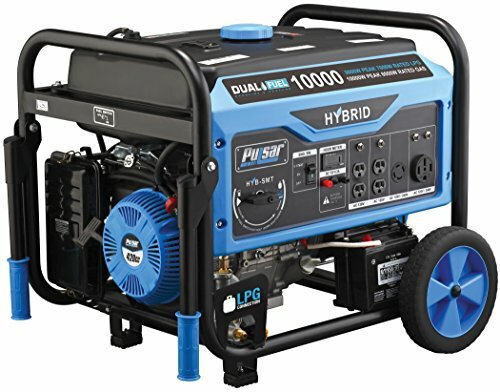 This is one generator that will work wonderfully at home and on the job site. It is easy to use to run multiple large appliances at the same time. The 12,000 peak watts output is impressive, and will give you 9,500 running watts. The Duromax XP12000E will run up to 10 hours at 50% power. The convenient collapsible handles and rubber wheels make it a cinch to move. You will find that you take it anywhere you want easily. The XP12000E generator features the following outlets. The assortment of outlets will let you use a number of appliances. 1 – 12V 10 Amp Utility connection – it can be used to charge batteries. The Duromax XP12000E is backed by a 30-day replacement, and a full one year warranty on parts. The Duromax XP12000E has a good number of customer reviews. When you read the customer reviews, you will note dissatisfied customers. However, it is fair to give this generator a chance as it seems to fit with the industry standard features. Not many folks have heard about the A-iPower brand. This model gives a 12000 watt output. Although there are not many reviews, this inverter is a potential contender with the well-known brands. The A-iPower generator comes with a built in electric start, and is CARB approved. You will get a decent output of 12,000 starting and 9,000 running watts. The alternator used in this model is high performance. It enhances the quality of the peak wattage allowing for motor-driven appliances and tools to run simultaneously. This A-iPower inverter has a powerful 459cc, 16HP engine. With this generator giving you power at the time of need, you will not have to worry about plugging in multiple outlets. All the outlets are fitted with protective covers, a unique feature on this model. Most of generators will come with only a couple of protective covers. The electric start will make starting and running the machine an easy task. The A-iPower comes with a standard 2-year manufacturer’s warranty which covers defective parts. 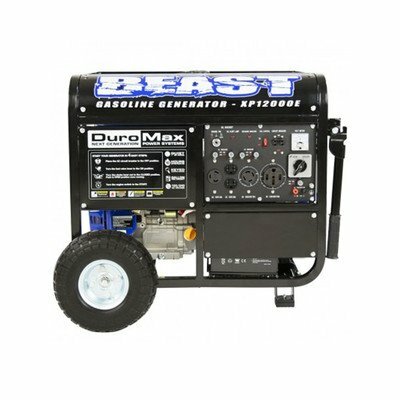 This generator comes with several great features, even though it is lesser known brand, the chance is that you may love it once you test it out. Beside the issue of low run time, it would get excellent marks. This Gentron model is a rising star among home emergency power generators. The advertisements for the Gentron GT10020 feature it as a solution for RVs, natural disasters, along with home emergencies. 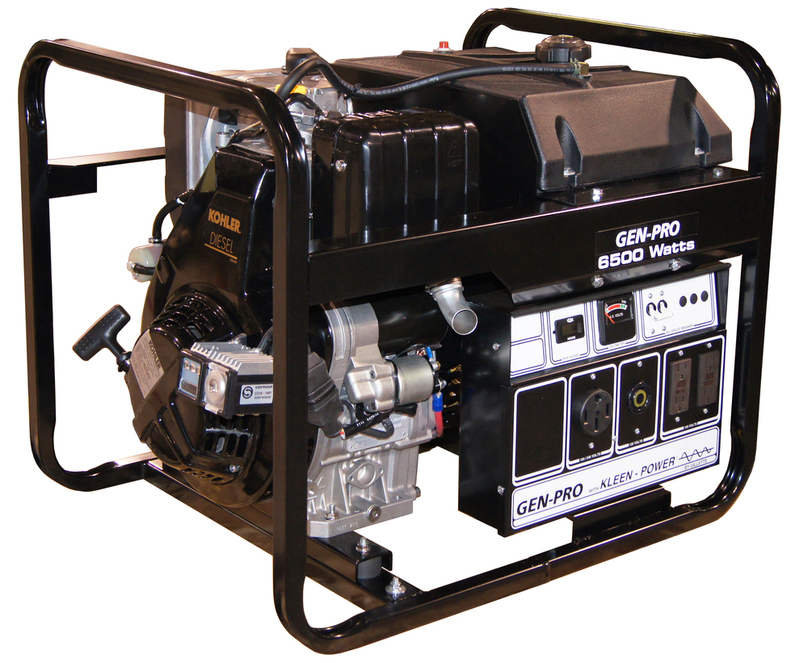 This GT10020 generator comes with a 15HP, 420cc engine. It easily delivers 10,000 peak and 8,000 running watts. The significantly sized 8 gallon fuel tank will give up to 11 hours of runtime. You will comfortably get through the night. This Gentron machine will let you use a wide variety of appliances. You can plug them into the assorted outlets. The Gentron GT10020 comes with a standard 2-year limited warranty for consumers and a 90-day warranty for commercial buyers. The lower price is a plus point. It will get you through emergencies without breaking the bank. Keep in mind that you will get what you pay for, and the reviews will not look so bad after all. IMPORTANT NOTE: All shipments require a working phone number to schedule delivery and proper address for the unit to be shipped out, or order may be delayed or cancelled. 10000 watt peak power, 8000 watt rated power. 15HP, 420cc, Air Cooled, OHV, 4 stroke engine (horizontal shaft). Easy Start, electric push button, Backup pull-start mechanism. 1 DC outlet, 12V, 8.3amp. Convenient for charging any 12V battery.4 standard outlets, fully protected 110V. 1x twist-lock outlet, 240V/30amp outlet. 1x twist-lock outlet, 120V/30amp outlet. The final review in this article is the DuroStar DS10000E. This model compares well with the higher powered generators, adding value by having a lower price point. Having a 16HP, air cooled Durostar OHV engine, it generates 10,000 peak and 8,000 rated watts. This affordable generator produces enough power to take you through emergencies and keeping your RV powered for a good amount of time. It will also keep your worksite running smoothly. This affordable DuroStar DS10000E is backed by a 3-year residential and 1-year commercial warranty. 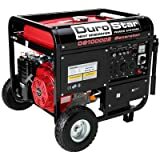 For the amount of money you will shell out to buy a decent 10,000 watts generator, the DuroStar DS10000E will be a good buy. These days with the increase in extreme weather conditions, we read in the news of natural disasters occurring all over the place. We hear of hurricanes, tornadoes, tsunamis, you name it. These events leave millions of folks in the dark without power. Sometimes for extended periods of time. When you get a 10,000 watts generator, it will keep you and your family safe with enough power to run appliances such as refrigerator, fans, heaters, etc., until the power is restored. On job sites, large 10,000 watts generators are the lifeblood to keep your tools running and your work moving ahead. This is especially true when you work in a mobile office. Your air conditioner will run keeping you cool during the hot summer days. This extensive guide just about wraps up the information you need to make an educated choice for a powerful 10,000 watts generator. We have discussed several kinds of generators with a large number of features. These powerful electricity producing machines are a boon to provide constant power on your job site, while power out emergencies, and providing constant power to your RVs. They are an excellent backup power source during those unwarranted times. As a safety feature, always remember to read the owner’s manual thoroughly before operating the portable generator. This step will keep you and your equipment safe. Familiarize yourself with the maintenance schedule for your investment. It will assure to keep your portable generator working seamlessly for years to come. 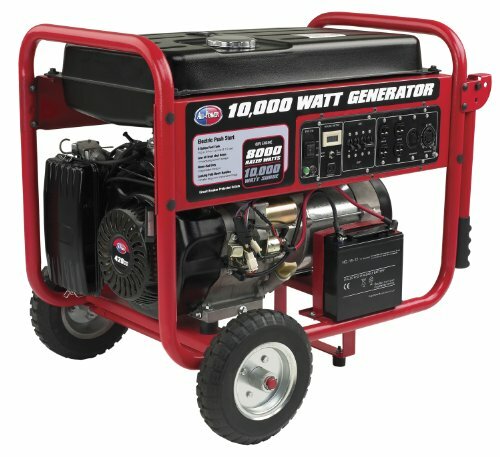 Do you own, or have you owned a 10,000 watts portable generator? What features do you look when shopping for a backup power source? Please share this informative post with anyone on your list who is looking for portable sources of power. When you are searching for a temporary home backup and a remote generator, think of portable diesel generators. Make sure to checkout the pros and cons of gasoline, propane, or diesel portable generators when you are in the market for one. Among others, one major advantage of a diesel generator is that it is highly fuel efficiency leading to much longer run times. Thus the cost of the fuel is also less. Study this guide – which has been researched thoroughly – before stepping out and getting the cheapest diesel powered portable generator. There is a vast array of choices, some are reliable while the others can give problems. 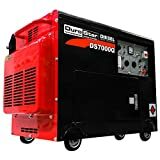 Best Portable Diesel Generator for Home? Which is the smallest diesel generator? The Generac XD5000E used True Power Technology, which provides less than 5% total harmonic distortion. 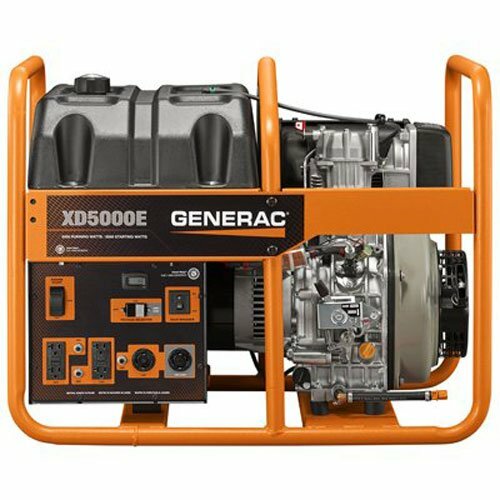 Even though diesel generators are not inverters, the Generac XD5000E offers cleaner power and smoother running than many other comparable models. You can comfortably use it to power some of your sensitive electronics. This Generac model runs on a Yanmar LW Series 435 cc air-cooled direct injection, industrial grade engine. It is housed in fully-welded 1-¼” steel frame, making it extremely durable. The frame is stunningly sturdy and designed to lift easily for transportation. It gives 5,500 peak watts while 5,000 running watts. Although it weighs around 250 pounds, the frame design comes with handles making it a lot easier to lift. If you like, you can buy a wheel kit separately, making it a lot easier to move it around. 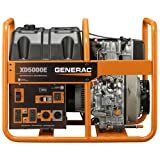 The Generac XD5000E has a humongous 12-gallon fuel tank. The size of the tank will run the machine for over 32 hours on a half-load. If you are looking for a generator with a longer run time, this could be the best diesel generator for you. There are two ways to start this generator. Both are easy. You can use either use the recoil pull-start or the push-button method. One drawback is that the battery is not included for the electric start. To use this feature you will need to purchase it. Also, keep in mind that there is no remote start option. It also houses an automatic shutdown feature in case the oil pressure becomes very low. The included compression release lever makes the generator easier to start in cold weather. Overall the price tag of the Generac XD5000E might be steep, but it is an excellent generator with considerably long runtime and cleaner power. Along with that it has a good warranty. Overall, DuroStar generators are known for providing dependable service. This is a 4-stroke single-cylinder direct-injection diesel engine. It is perfect as a backup for power outages. There are 2 – 120-volt, 20-amp, 3-prong outlets (with ground fault interrupter) — these will work well for all your standard household appliances. There are two twist-lock outlets, one 120-volt, 30-amp, 3-prong outlet and one 120/240-volt, 30-amp, 4-prong outlet. These will work for high powered tools, e.g., on a farm or worksite. Compared to other loud diesel generators, this one has effective noise-reduction measures in place. The system used by the manufacturer to reduce noise is by using a vibration-isolation mounting between the alternator/engine feet and the base frame. Along with muffling the noise, it increases the lifespan of the machine. To make it more quieter, there are additional soundproofing systems use. The DS7000Q will give you a long runtime of approximately 12 hours at a half load. The fuel tank is a large 3.83 gallon one. The neat fuel gauge provided will let you keep an eye on the remaining fuel. This portable generator weighs in on 300 pounds. With the wheel kit, moving it around becomes easier. Thanks for thinking about it! Let’s take a look at the pros and cons of the DS7000Q now. The manufacturer could improve the 30-day replacement and 1-year part warranty. If you are in the market for the cheapest diesel generator, then this is the perfect fit. However, you must keep in mind that you will get what you paid for. Many folks consider a diesel generator as a long term investment. With the Pulsar PG7000D, the long term might not be as long as you want. I.e., the longevity of this model is uncertain. Because the price tag is especially enticing, people go for this generator. Don’t get me wrong. Man folks are happy with their purchase, even though this alternator is known to have some issues. This Pulsar model runs on a 10-HP single cylinder, 4-stroke, OHV, aircooled engine. 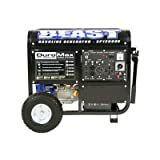 This generator comes with five outlets; two 120V, one 120/240V twist lock, one 120V twist lock, and one 12V 8.3 Amp outlets. You will find a standard digital control panel which includes voltage meter and an hour meter. Considering that this is a diesel generator, it is an unusually quiet unit. Pulsar achieved the low noise by focusing on the effects of insulation, housing, and airflow. The company has nicknamed this line of generators as their Silent Series. To call it silent might be stretching it a bit, but it is definitely a quieter machine when compared to what is out there. The noise that this Pulsar diesel generator model makes is about as loud as a home vacuum cleaner, less than 70dB. At a half-load, the 4-gallon fuel tank will burn for 9.5 hours. The handy fuel gauge will keep you up to date on when you will need refueling. As far as the mobility of the unit is concerned, it weighs over 350 pounds. The manufacturers have included wheels, but they have left out handles, and the frame is fully enclosed. Without handles, at the size of 38×32.5×22 inches is a challenge even for a couple of people to move it around. Interestingly enough, the Gilette GEN-PRO is the biggest but lightest generator that made our top list today. It’s 48 inches cubed, but weighs just around 200 pounds. The generator runs a 9 horsepower engine and the fuel tank, capacity of 4 gallons, will give you about 10 hours of running time at half load. There is a fuel gauge that will tell you when the diesel is running low. The Gilette GEN-PROs frame is well built, and there are handles for easily picking it up. Wheels are not included out of the box but you can purchase a kit separately. On the dashboard, you’ll find a voltmeter, circuit breakers, and an hour meter. You’ll also be able to see low oil warnings, air filter warnings, and service engine alerts. There’s also a meter that will tell you how long the generator has been running. To start the generator, you can use the old fashioned recoil pull or you can also start it electrically. You can’t start it using a remote. Diesel, though it is a more polluting fuel, is far more efficient than gas and you can run the machine longer on a single tank as well as go for longer periods of time between maintenance. In order to provide the cleanest(free of fluctuations, not emissions) power, the generator uses something called “Power Assist” which utilizes a capacitor and a winding design to make sure that voltage fluctuations are minimal. Because of this system this generator is safe to use for a lot of smaller and sensitive electronics. Now that we’ve gotten our favorite generators down, let’s talk a little bit about how diesel generators work and how they stack up against other generators. Since no one generator will be a good fit for everyone’s needs and uses, here are some things you want to think about before making a buying decision. Like I mentioned in one of the reviews above, diesel is a much more efficient fuel than petroleum or propane, but the downside is that diesel exhaust fumes are much dirtier than propane or gasoline. The reason diesel is more efficient is due to how diesel engines burn fuel as opposed to other engines. In an engine, compressed air is combined with a spray of fuel which is then ignited. The compressed air burns and expands, pushing the piston up and moving the axle of the engine. In a gas engine, the air is compressed after it is mixed with fuel. In a diesel engine, the air is compressed first before getting mixed with fuel. The earlier compression means it is more efficient, so it will run for longer and use up less. On a strictly financial analysis, diesel generators will be more cost effective than gasoline, and far, far more cost effective than propane. In fact, propane generators will use up about three times as much fuel as a diesel generator! Diesel is also the least flammable of gas, propane, and diesel, which may be beneficial during disasters like fires. Finally, diesel generators are noisier than other generators. To make a choice for the best portable diesel generator for your home, you need to think about why you’re going to be using it. 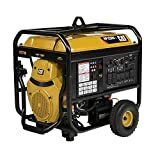 If you live in an area prone to frequent and lengthy losses of power, you will want to get a generator that has the most runtime so you don’t need to keep refilling it. The Generac 6864 diesel generator is a good example, as it has a really long runtime for more than 24 hours on half load. Otherwise, the DuroStar is a good value choice since it offers a lot of power and has plenty of outlets. Most of the generators we’ve listed and seen are pretty much the same size. There is no significant difference in the sizes of the generators. However, they’re still quite big, but not exactly huge, either. To get a sense of the size, the smallest generator we’ve reviewed here is the Generac, which has dimensions of 38 x 22 x 25 inches. It still weighs 250 pounds, though, so it is certainly not very light. The Gilette generator on the other hand is bulkier but much lighter at only 200 pounds. So when you’re talking about size, you need to keep weight in mind, too. For storage, the Generac is a good idea. For easy transport, on the other hand, the Gilette would be your machine of choice. Weight is also affected by frame design: is it an open frame, enclosed, does it have handles, does it have wheels? If you’re going to use the generator for your home then you can get the heavier one. But for an RV or camping or what have you, you really want to get the lightest one possible. Or you can just buy a wheel kit and wheel the generator around with ease. As a rule of thumb, you always want to use the oil recommended by the manufacturer in the owner’s manual of your generator. Another factor affecting diesel generators and oil is the current temperature of the air. For high temperatures, you need more viscous oil like the SAE40. For lower temperatures, consider an oil with low viscosity like the 5W-20. No matter which oil you use you need to consult your manual and perform the proper maintenance procedure to ensure your generator works for as long as possible and as efficiently as possible. Remember, this is an engine with moving parts, so they need to be well lubricated in order to run properly. After a certain amount of usage, you’ll need to change the oil, much like you would change the oil in your car. Most generators do have control panel indicators that remind you to do so. If you forget to change the oil your generator’s life will greatly be reduced and you may even end up killing your warranty. All in all, diesel generators are a boon to have around especially at home for those unknown and unwanted power loss situations. Please share your experiences of using fuel-efficient diesel-powered generators in the comments sections. Let us know which of the above models you have purchased and used. Feel free to keep in touch with your thoughts and comments on diesel generators. Intake manifold runner control stuck open is a trouble code that is generic. This means it applies to every vehicle made from 1996 till date, particularly those equipped with the OBD-II system. This trouble code is commonly found among manufacturers of vehicles such as Dodge, Mercedes Benz, Mazda, ford, jeep, and so on. Even though this code is generic, the definition, troubleshooting and repair specification varies from one vehicle model and maker to another. According to mechanic faq website, intake manifold runner control stuck open can be defined with the code P2004. It means that the intake manifold runner control or IMRC is stuck in the open position in bank 1. The engine control module, ECM which is also known as the powertrain control module in some other vehicles feeds the IMRC with information pertaining the present driving condition which the IRMC use in regulating the amount of airflow allowed into the intake system. Regulating intake airflow keeps check on harmful emission, improves the mixture of air and fuel and improves the efficiency of the fuel of the vehicle. The error code P2004 is normally stored when the IMRC actuator for engine bank 1 is stuck in the open position and is detected by the ECM. Bank 1 means the occurrence of the problem is in the bank of the engine containing cylinder number one. The error code gets the check engine light activated and it registers the code to the memory system of the vehicle, just as it is with other error codes too. Other signs to watch out for in detecting the IMRC includes an increase in the consumption of fuel, decrease in the torque of the engine and a rough running. The engine may sputter or surge in other occasions also. An OBD-II scanner is required in checking the error code P2004, just as the other error codes. Technicians working on it will retrieve the freeze frame data and other codes stored in the ECM. If other trouble codes are found to be present, such codes should be checked and repaired first before going ahead to the repair of the error code P2004. The wirings of the IMRC should then be inspected thoroughly for broken, frayed or short wires. The fault in the wires should then be taken care of. The solenoid of the IMRC is then inspected for signs of corrosions and damage which should be repaired or replaced when necessary. The hoses and lines of the vacuum should be checked for fault next and then fixed or replaced. Check the butterfly valve plates of the IMRC and make sure it is properly connected. Clear the codes away and make a retest on the vehicle for the error code P2004 then use the scan tool to test the IMRC solenoid. Using the scanner, open the IMRC solenoid and close if it to check its response. The solenoid must be replaced if it does not respond to the scanner. Even though IMRC is complex and it has a lot of factors causing the error code, repairing it is not tedious. The IMRC should be thoroughly checked and diagnosed so that a very efficient repair will be gotten. Thorough repair of the MAF sensor, EGR valve and BARO trouble codes if found to be faulty. Error P2004 can cause a serious damage or a failure to the engine of a vehicle if the butterfly valve plate hardware gets loosed and falls into the engine. It is essential to carry out a thorough inspection as soon as this code is detected and get it fixed.